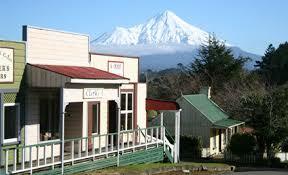 Visit Taranaki to find out why Lonely Planet had judged Taranaki the world's #2 region to visit in the World! Determined by an independent, international team of Lonely Planet travel experts praises the region’s walks, museums and events – including the annual WOMAD music festival and TSB Festival of Lights – parks, and Surf Highway 45. Egmont National Park covers 33,534 hectares. Here the volcano Mt Taranaki (or Mt Egmont as it is also known) rules supreme and majestically stands tall above the surrounding landscape. Beside it are two volcanoes of an earlier era: Kaitake and Pouakai. Rising above the clouds the 2518m high peak of Mt Taranaki offers spectacular scenery to those who make the challenging climb. For those wanting a more relaxing experience there are beautiful walks through beautiful forest to waterfalls, wetlands and excellent viewpoints. 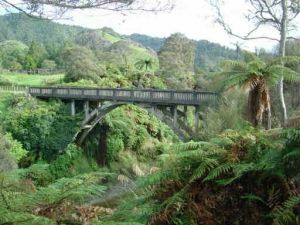 As the closest main centre to the Egmont National Park, Stratford is the main access to East Egmont (the location of the Ski Field) and Dawson Falls. The highway is also called the ‘Forgotten World Highway’, as it threads 155km through pristine sub-tropical rain forests and unspoilt scenery, just as they were thousands of years ago – including the beech ridge-tops of Whangamomona Saddle and the awesome Tangarakau Gorge. 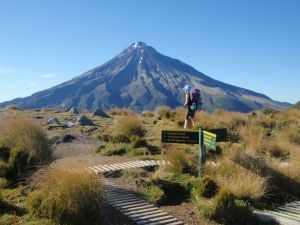 After it leaves the Taranaki volcanic ring plain, the trail drops into the rolling and then steeper inland landscape. The highway threads through valleys and over saddles, through countryside made up of grasslands, virgin rainforest and regenerating bush. 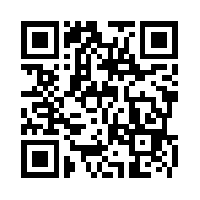 Young & old alike can enjoy reliving the footsteps of our pioneers during the 1850 – 1950 era. See & sense the hardships in the way of life our pioneers lived to pave the way to our way of life today. With over 40 original buildings, including many authentic structures, almost everything is covered from township to country. Inside the buildings are artefacts of the pioneering era. Stratford’s glockenspiel stands proud in the main street, Broadway, and is unique to New Zealand.